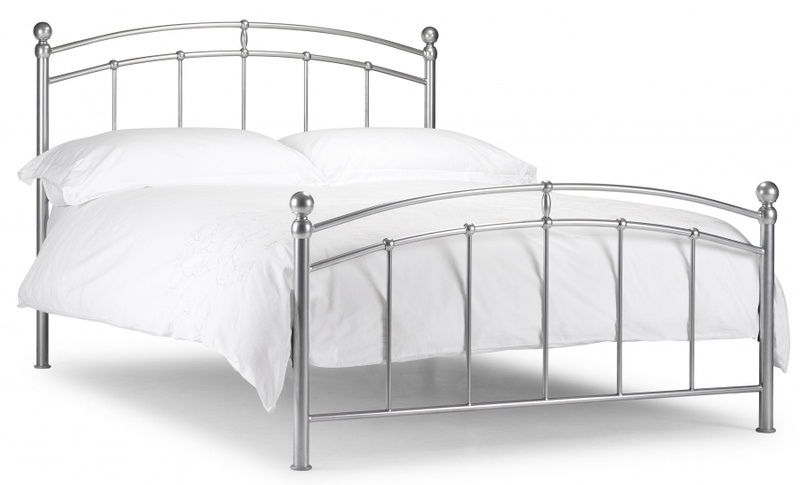 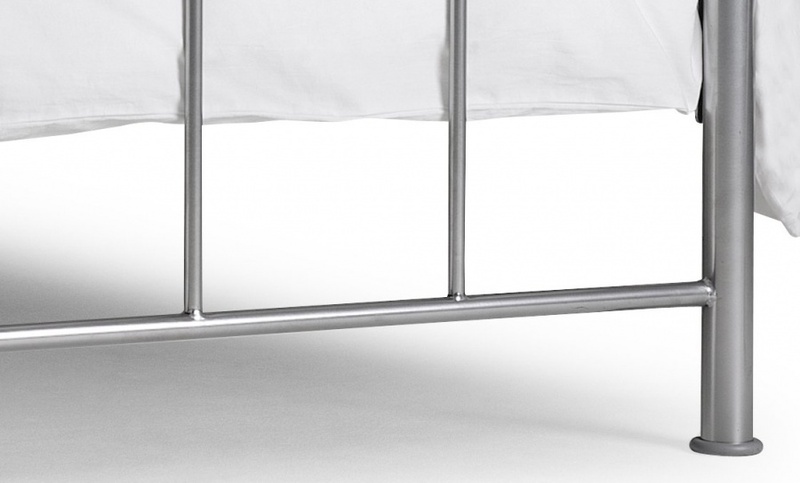 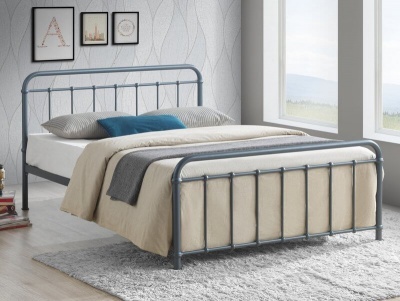 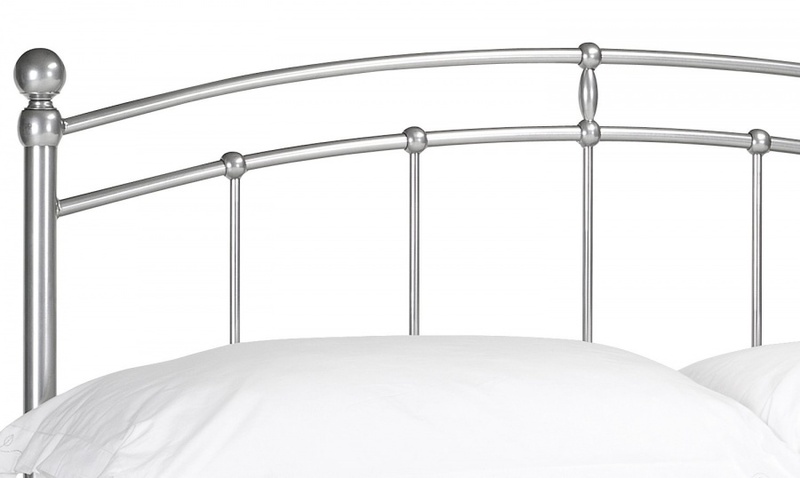 Simple classic design with a charming aluminium finish that works with modern and traditional bedroom interiors. 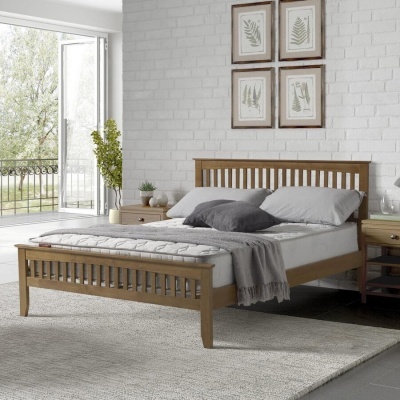 Sprung slatted base for added comfort and prolonged mattress life. 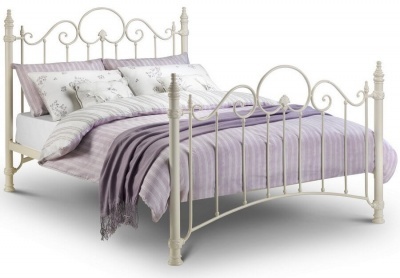 Fits a standard double 135 x 190 cm mattress not included.